Blue hair has had a surge in popularity over the years, and it's no wonder why. Not only is it vibrant and fairly unique, but it is also a versatile color with plenty of different shades to choose from and many ways to style it. 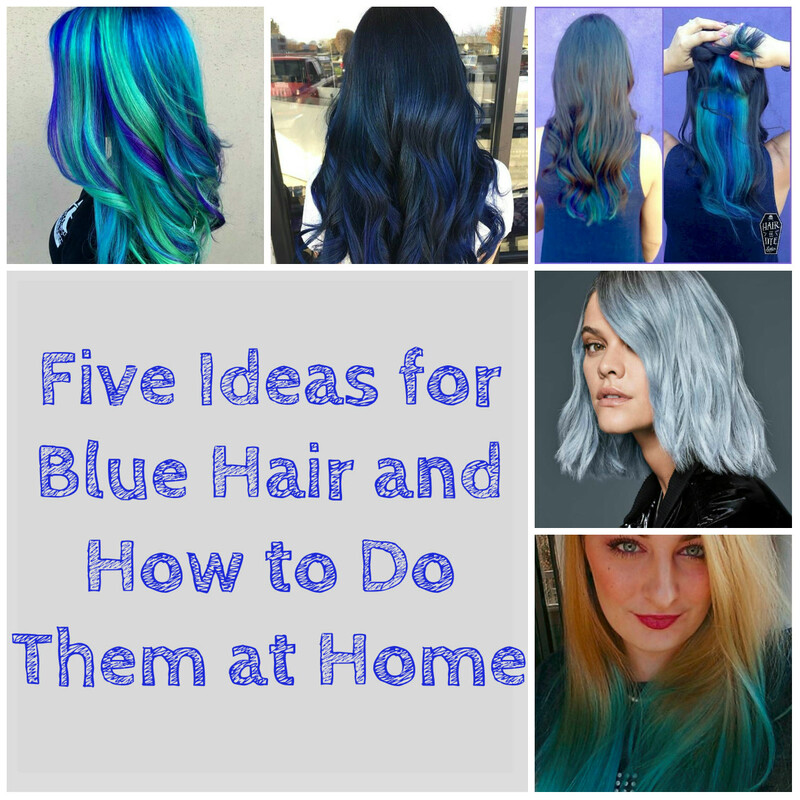 Whether you want bright blue streaks, a subtle pastel shade, or an all-over color, there is a shade of blue hair to suit anyone, and it's easy to achieve your desired color. The dye process for achieving blue hair is not unlike most other colors. If you have dark hair and want a color that is lighter than what your hair currently is, it will need to be pre-lightened first. If your hair isn't lightened before dyeing, the color won't turn out anywhere near as vibrant and intense as you were hoping. Permanent blue hair dye is also relatively rare, with few options available. This means that you will usually be using a semi-permanent dye to achieve blue hair and these can't lighten hair; which necessitates the use of bleach for the lightening beforehand. They also wash out over time so the color does require maintenance to keep it looking vibrant and prevent significant fading. If you're unsure about the correct method for achieving the particular shade of blue that you want, you can use the table below. This will tell you whether you need to lighten your hair, to what extent, and what kind of dye needs to be used. Once you have a better idea of the direction you need to go in, you will find more in-depth knowledge in subsequent sections. Hair has two primary characteristics that define the way it looks: level and tone. Whilst the tone is the actual color you see, the level is how dark that color is. This is why you can have two shades which are the same color but still look different. 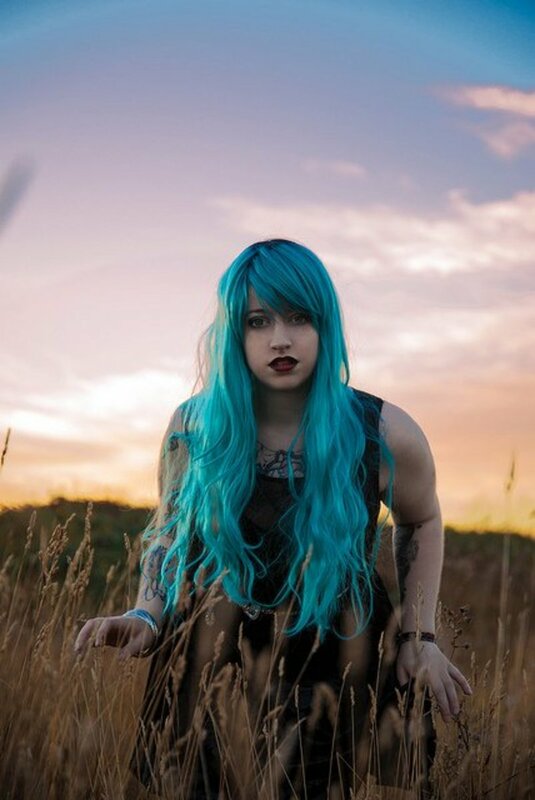 In the case of blue hair, a pastel colour is a pale blue, whilst a midnight blue color is a very dark blue and these two colors can be said to have the same tone but different levels. When you dye your hair blue with a semi-permanent dye, what you are actually doing is adding a certain amount of blue tone. The more concentrated the tone is, the darker the blue color is that will result from its use. This means that when you apply a blue dye, color is only being added. Using a lighter blue dye won't necessarily result in a lighter color result as the dye can't lighten your existing hair color. They only way to achieve a blue color that is lighter than your hair's existing color is to lighten it with bleach first. How far you need to lighten it depends on the exact shade you want to reach, but you can approximate this by using the table below for many common shades of blue hair. If your hair is the level of the desired shade or lighter, you don't need to bleach and can dye straight away. If it is darker though, you will need to lighten to the lift color that is listed first. 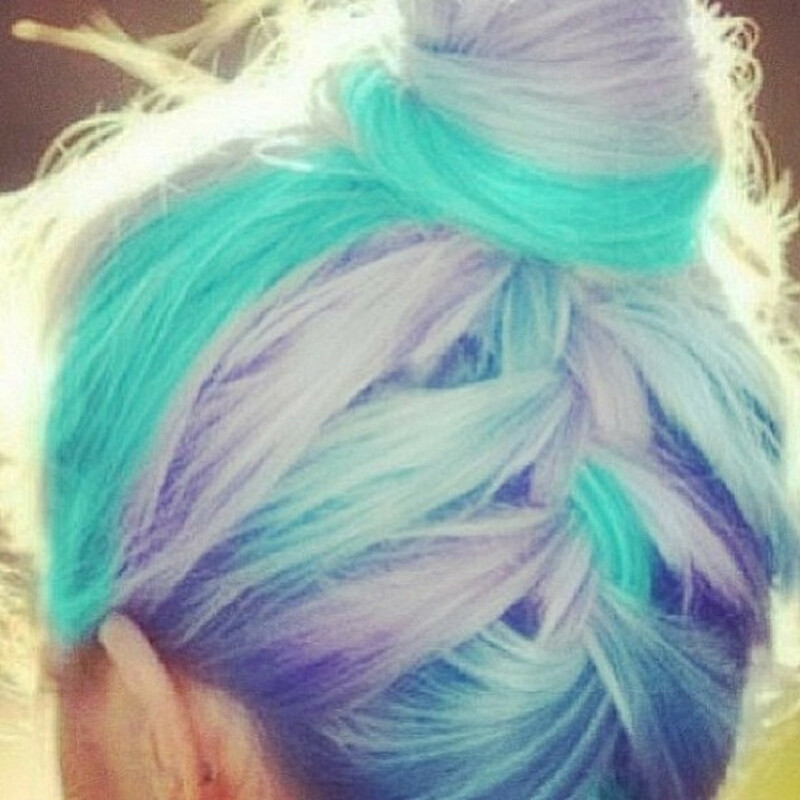 If you need to lighten your hair, this must be done with bleach. This requires your hair to be in good condition before application for the best result, and you should not be lightening your hair if it has been dyed many times in the past or has significant weakness or breakage. When bleaching your hair, you will get the best results if you apply the product to properly sectioned hair. This greatly speeds up application and allows you to get a more even result as not only does your hair end up coated in less time, but there is less chance you will miss any areas. To section your hair out, first part it down the middle from your forehead right down to the back of your neck. This will divide your hair in half. After you've made this initial parting, you will then need to part it once more from ear to ear to separate the first part into half again. This gives you four discrete sections once you have finished. Application of the product is then as easy as working in one section at a time and coating thin layers of hair from the top of the section to the bottom with bleach, making the entire application quick and simple. If you've never sectioned your hair like this before, you may want to practice it a few times beforehand. Once you're confident enough to begin, section your hair out before mixing up and applying your bleach to dry, unwashed hair. Having unwashed hair is important here as the natural oils that are present act to protect your scalp from irritation and also help decrease some of the dryness and damage that can affect your hair during and after bleaching. This doesn't mean you need to go days on end without washing your hair, but it does mean that you shouldn't apply lightener directly after shampooing. Wait 1 - 2 days after your last shampoo for the best results and less irritation while it processes. There are many different brands of dye that produce shades that can give you just about any shade of blue hair, but the main thing they all have in common is that they are all semi-permanent dyes. This means that the application is very similar regardless of which brand you're using. With most dyes, the only difference will be in how long the manufacturer recommends it be left on your hair, but this isn't set in stone and the color can be left for longer if desired before rinsing as semi-permanent colors are conditioning and non-damaging. If you've lightened your hair prior to application of your blue hair dye, it is best to apply it immediately after rinsing out the lightener for the longest lasting and most vibrant results. This is because hair that has just been bleached is much more porous and will readily soak up any color that you apply, extending the results and slowing down fading. It also has the added benefit of treating the dryness that results from bleaching. The dye contains a conditioning base and this moisturizes your hair and corrects both the dryness and pH, allowing it to recover from the lightening more readily. All of this contributes to more beautiful blue hair. Whether your hair was light enough for your blue hair color already, or you needed to bleach it first, you'll start the dye application by shampooing your hair. Shampoo opens the hair cuticles and allows the color to penetrate deeper into your hair. For those who had to bleach, wash your hair with shampoo after rinsing out all the lightener and then proceed in the same direction. In any case, lightly towel-dry your hair after shampooing to remove some of the excess water. Depending on the consistency of the dye you're using, you may find it easier to apply the dye by brush or by hand. If you're applying streaks of any kind, or anything which requires precision, it is best to use a tinting brush regardless of the consistency. For all-over blue hair though, don't be afraid to just use your hands if this is easier for you; but wear gloves or you'll step out of the shower with hands that match your hair. Blue dye is infamous for staining both your skin and the walls and floors of your house. Once the dye has been applied, gently comb it through to ensure even application and massage it for good measure. When you do this, try to massage your hair from roots to ends in that direction. Doing so will spread the dye out and cover any areas that may have been missed, as well as lessen the staining that can occur on your scalp is you massage it into your head like conditioner. Processing time varies by brand, but the time that the manufacturer recommends is more of a guideline anyway. Leaving the dye for less than the recommended time can result in less color being absorbed, a duller result, and quicker fading. There is no such concern with leaving it in for longer though. In fact, leaving the dye in your hair for an hour or more is one of the easiest ways to get blue hair that lasts longer and looks more intensely pigmented. To an extent, the longer you leave the color in, the better the results. This doesn't mean you should leave it in for an entire day, but if you have time to spare and aren't in a rush to rinse the blue hair dye out, it can be left until you feel like rinsing it. Cover it in cling wrap or a plastic shower cap to prevent it from drying out or rubbing off onto surfaces and rinse at your leisure. One of the most versatile features of temporary dyes is that most shades in a particular brand can be mixed together. Even if you can't find the perfect shade for your own style, this means that you can create it yourself by mixing different shades together. This is mostly an experimental process that can take some time in order to find the right color, but there are a few guidelines you can follow to create particular shades. You can use the table below to see how mixing different colors will create different effects. The more of the mixer shade you add, the closer the color will get to the result shade. You can also modify colors by mixing shades that are light and dark. Mixing a darker shade into your chosen color will darken it, and vice versa, a lighter shade will lighten it up. This allows you to create a blue hair color with a depth that is between two other dyes if you can't find the exact depth you want. Blue hair fades quickly. Even if you leave the dye in for longer and are careful with how often you wash your hair, the blue tone simply tends to be one of the more rapidly fading kinds of pigment; unlike red or yellow tones, which tend to persist for a much longer time. These are weaker emulsifiers and will take out less color; just don't use them on oily hair or they won't clean your hair properly. Conditioner doesn't just moisturize and de-tangle. It also coats your hair shaft and protects color. This will shield your color from moisture in the air, whilst smoothing your hair and eliminating frizz so that you can really show off your blue hair. Purple hair is fun and interesting. Discover how to dye hair purple and stand out from the crowd with this vibrant color. 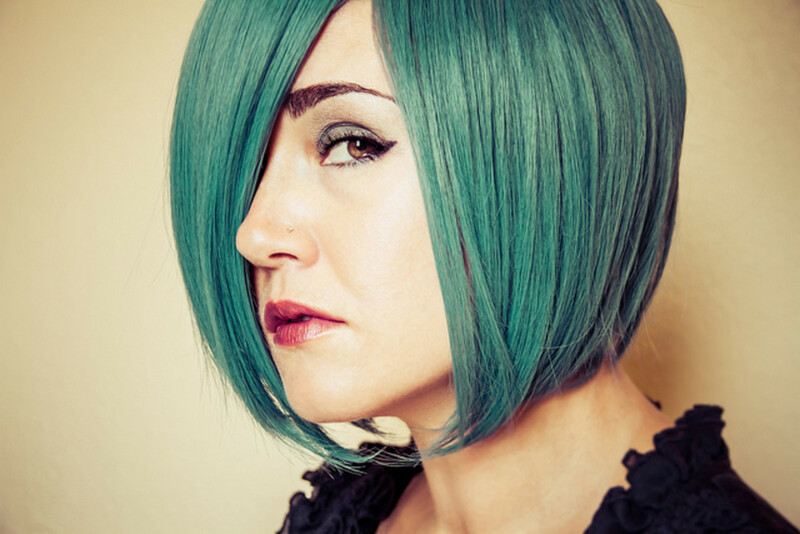 If you're short on time or need to keep your blue hair looking its absolute best, the anti-fading methods above are only effective at slowing down the color loss. A better option for actually adding color back into your hair as you lose it is to create your own blue shampoo and conditioner. To do this, procure a darker blue dye than the color you want to maintain. As this is going to be added to shampoo, the pigment concentration will be diluted down by the shampoo and you will need the darker shade in order for it to be an effective toner. Depending on how dark your blue hair is, add a small amount of blue dye to shampoo, and even conditioner if desired to create your own homemade toning shampoo. You may need to experiment with the amount added to perfect the exact shade you're trying to maintain. In any case, you've just circumvented the lack of blue toning products available by making your own at low cost and the ease of merely mixing two solutions. Match this with the tips above and your color will last for a lot longer before you need to redye it. Hi Maffew, I wish I had read your article before I dyed my daughter's hair blue. It came out uneven, I think we didn't leave the color on long enough. Can I reapply the color and leave it on now? Will that fix it? How can I make lighter shade like sky blue out of dark blue color? Is it possible to create different shades from one single color? Plz help me out , we don't have many colors available . I dyed my hair magenta which has a light and dark pink shades. I'd like to dye my hair an electric purple or blue but even my hair stylist isn't sure how to do so. Does anyone have any idea what process my stylist needs to do to accomplish getting either the electric blue or purple? 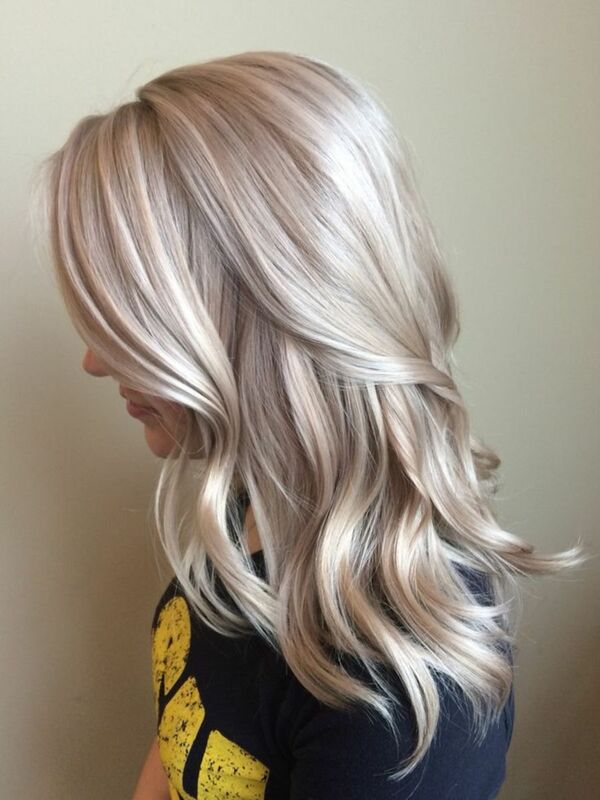 Hi,I am changing my hair colour from a dark brown to blonde to blue.The colour I would like to be is a blue black on the roots to a light navy blue on the mid lengths & ends.I would like to know what colour's i need to mix to achieve this? I am worried it will come out to dark or have to much of a royal blue tone? Its so hard to describe the colour,the blue tone i am trying to get is like a petrol blue/light navy? Thanks. Is three a way to have navy/ blue strands for natural black hair (or black with grey hair dyed permanent black) without bleach? If not and if using bleach i.e. vitamin C what shade to bleach first to have a navy or bark blue result? This is a terrable repsentation. More then half these photos are photo shoped. And in a way thats not even good. I dyed my hair like two months ago with pravana and the blue isn't bright enough I even bleached my hair an it was a bright yellow tone how can I brighten the pravana so the blue comes out a sky blue? Hi I currently have ash blue right now but I want to make it blue black. How can I do that? If you're aiming to get it to an all-over blonde colour from the blue now, I'd recommend taking a 10N shade and mix the copper into that if using additive. The availability of the additive depends on brand and these are just pure tones like intense blue, red, or orange that you add to other shades in that brand. Most professional brands produce them, but you may not be able to find anything similar in a supermarket brand. Don't worry too much if you can't get it because there are other ways to do this. If you are using the additive I'd recommend adding about a centimeter of this to 30 mls of dye at first. The dye you add it to should be a neutral or warm neutral tone that is lighter than the blue. You're mostly using it as a base to dilute the copper into. If you test this first on a small strand of blue, and watch to see how it reacts at this strength, you can then adjust the strength to what it needs to be and apply all over. Finish the colour with a natural blonde or beige blonde dye that is slightly darker than the rest of your hair and this will even it out and prevent the blue from returning when it fades. Otherwise, if just using dye, you can mix 9C or 8C into a 10N to add copper tone for the same sort of method. The darker the 'C' shade, the more the colour will be affected when you add a small amount to the lighter shade. You'll need more of the copper shade compared to the additive though as the additive is pure orange tone. A good starting point is about 25% copper shade to lighter shade. Once again, finish this off with a natural or beige blonde shade that is slightly darker for the best coverage. However, if your hair is very uneven at the moment and there are areas that are lighter and/or darker, toning's not really going to address this properly. In this case, it's easiest just to apply a mix of gold and copper protein filler or demi-permanent dye and then cover that with a permanent blonde dye in either ash or natural tone that is one level darker than the darkest area of hair currently is. This will fill in lighter areas, neutralise the blue, and even it all out to close to the same colour and depth. In the end, all three of these methods are very similar because the intention is the same. The first step is to add orange tone in to counteract the blue, and the second is to cover this new neutral foundation with a new shade of blonde to even everything out and prevent fading of the toner. Also, for developer, this is included in supermarket dyes, but mixed separately in salon dye. If you're using a supermarket dye and want to minimise damage, it's still a good idea to throw away the provided developer and add your own because often, especially if using blonde shades of box dyes, these will contain a stronger developer than what you need. 10 vol (3%) is fine for toning or darkening, whilst higher strengths are used for lightening hair and aren't necessary for this. However, regular developer is only used in permanent dye. Demi-permanent dye uses a dilute developer or an acid-developer, and semi-permanent uses no developer because it works by staining. Thank you. Toning it out looks like the only option I have. My hair was lightened to a 9n before the blue. When I use the permanent dye, could you elaborate on the copper additive. Would that just be another permanent dye I mix with the permanent dye that matches my normal hair? Also I would use a developer with this? 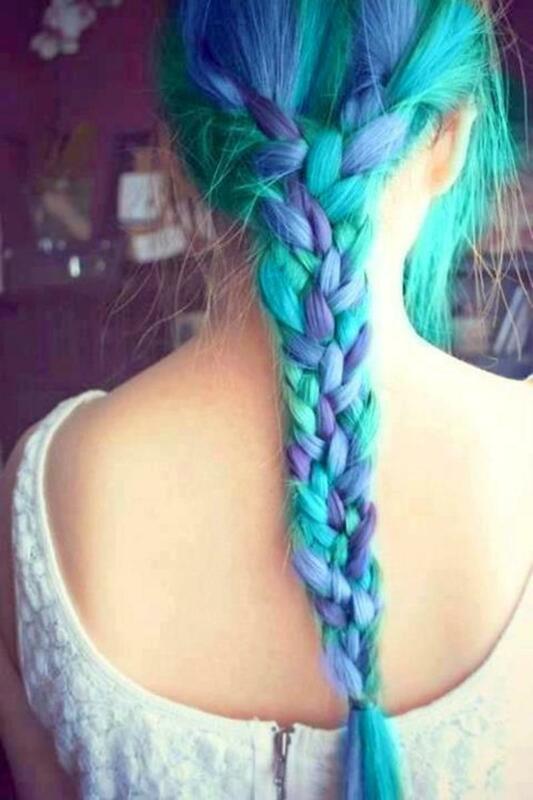 Most blue dyes are semi-permanent and this will stain the hair. Sometimes the stain can't all be removed through washing or other methods. Color Oops and other dye removers won't help either in this situation because these products work by reversing the chemical reaction of permanent dye and thus have no affect on a semi-permanent dye. If you can't remove it through washing and it seems to have lasted for a long time, this is a sign that it won't come out. In this situation, the best course of action is to just tone it out instead. Similar to the way that violet is used to neutralise yellow in blonde hair, blue tones can be neutralised with the correct opposing colour, which is orange. If there's a green tinge to what remains of the blue, this can be either part of the blue colour, in which case toning will be more effective if you also use a small amount of red tone to counteract this; or it can be the result of the blue tone in your hair mixing with any yellow or golden tones underneath, in which case orange by itself is fine for neutralising it. The latter is usually only the case if your hair is blonde underneath the blue dye. As for how you get the neutralising tone into your hair, there are a variety of ways you can do this. You can use a permanent dye close to the level and tone of your hair, mixing a small amount of copper shade or copper additive into this as one option. 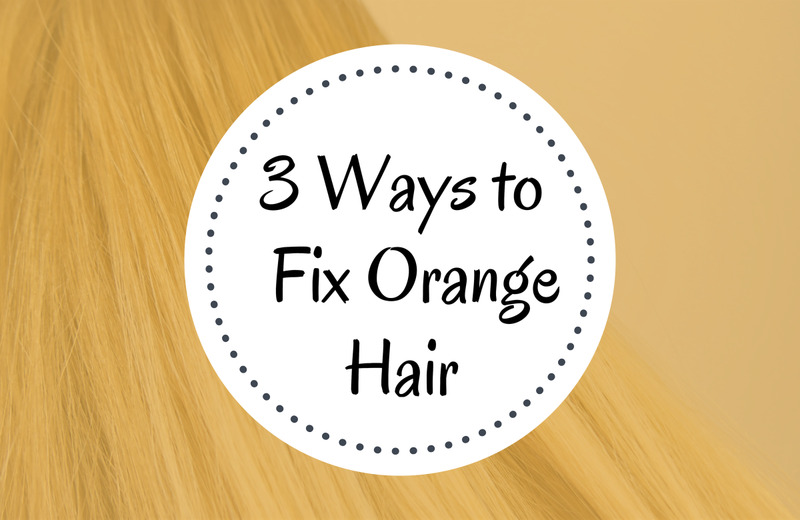 Another option is to take an orange semi-permanent dye and add a small amount to conditioner until it is just strong enough to correct the blue. If you need any further clarification on any of this let me know and I'll elaborate. Good luck and happy colouring! I dyed my hair blue 2 months ago(and other colors) but the blue wont budge. It has lightened a little but I dont know how to get out the rest..vitamin c and head and shoulders, color oops, dawn...do you have any tips? Thank you Angela, glad you liked it. 4 years ago from Washington, D.C.